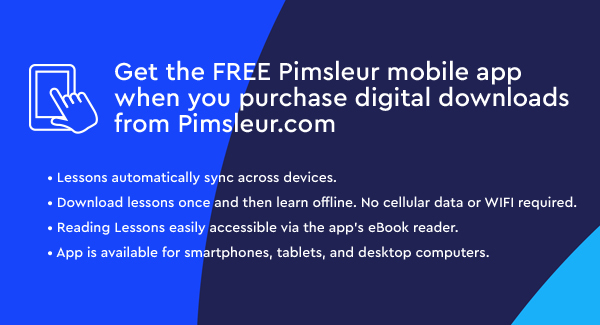 Pimsleur includes 90, 30-minute audio lessons and reading instruction as streaming or audio download, plus 3 integrated Reading Booklets. 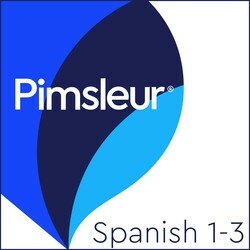 This program includes all of Spanish Levels 1, 2, and 3. 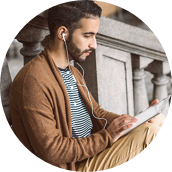 With this program you start from zero, first learning survival phrases and vocabulary, and eventually progressing to a high-intermediate level of speaking and understanding Spanish. Every lesson contains an introductory conversation and isolated vocabulary and structures, as well as full practice for all vocabulary introduced. Emphasis is on pronunciation and comprehension. By the end of the program, you’ll have gained experience participating in many informal and some formal discussions on practical, social, and semiprofessional topics. You’ll skillfully form longer, more complex sentences, and most importantly, you’ll find yourself being understood, even by native speakers unused to dealing with foreigners.